Mandy Hickson’s route to the top was tumultuous in every sense – awarded a RAF flying scholarship at 17, long before she even passed her driving test, she went on to win aerobatic competitions whilst still a student. However, despite her prowess in the skies, she failed the computer-based tests, taken by all potential RAF pilots. Undeterred, her self-belief and dogged determination persuaded the RAF to take her on as a test case, thereby overcoming seemingly insurmountable hurdles. Mandy relates her experiences of working within an elite team of fast jet operators with great clarity, outlining how the same values apply within any environment. She demonstrates only too well the importance of remaining calm under pressure and leading, quite literally, from the front, in order to get the best from herself and her team. 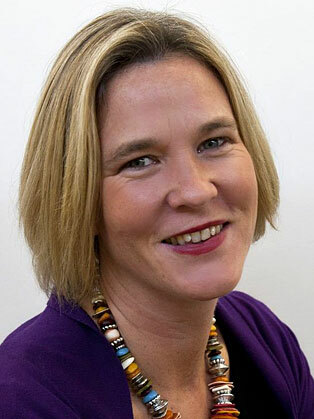 Since leaving the RAF Mandy has served as a school governor, on the board of trustees at the Victory Services Club, London and is an ambassador for sport for Hampshire County Council. We hired Mandy as the keynote motivational speaker for our first annual dinner and she has set the bar at a challenging height for future events. She expanded on the briefing brilliantly and her mixture of anecdotal humour and encouragement to positively change was lapped up by our audience. 700 women in a standing ovation. I’ve been to this event for 30 years and have never witnessed that before. It was truly deserved! I have to say that I had high expectations – and you surpassed them all. You were brilliant! !